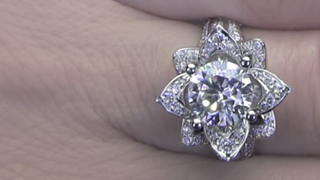 A center diamond is typically what people want, but they can be expensive, so we'd like to put some more options out there that you may not of thought about. 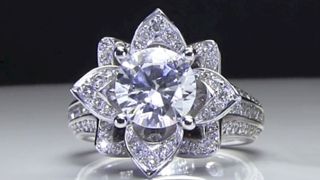 Lustour Stone: The Lustour stone is perhaps the best alternative to a diamond. 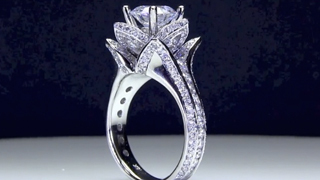 No other diamond simulate can match the diamond's natural brilliance, sparkle and fire like the Lustour. In fact, it's so hard to tell the difference, it would take a microscope and a very trained eye. They always come with a triple excellent cut, F-G color, and VS2-SI1 extremely eye clean clarity, and are available in almost any shape. 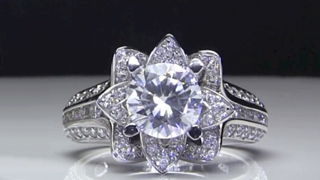 The best part, it costs substantially less than a diamond of comparable size at $800 a ct. No one will know your center stone is not a diamond. It's that nice. White Sapphire: Sapphires are actually rarer than diamonds. When cut perfectly they look amazing, and could pass for a diamond with an amazing cut. Cut is everything when choosing a white sapphire to emulate a diamond. 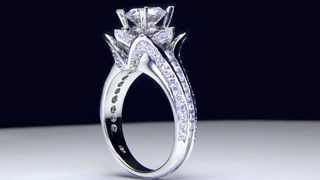 You can go much higher in carat weight and save thousands. Colored Gemstones: We used to sell only to jewelry stores and wholesalers, but since we started selling directly to the general public we were astonished by how many people wanted a sapphire or other colored gemstone as an alternative to a center diamond. 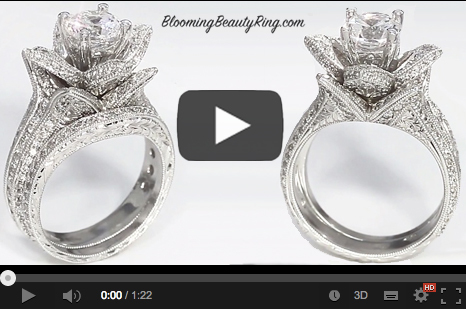 Again, they look amazing especially with the high quality side diamonds we put in each ring. The color really pops, and it gets noticed. 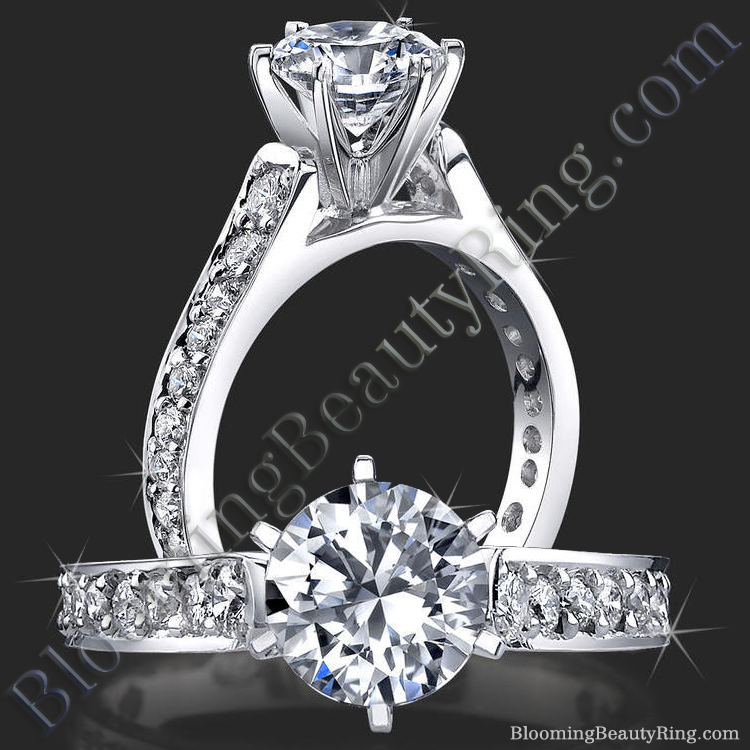 Moissanite: There are many qualities of moissanite. 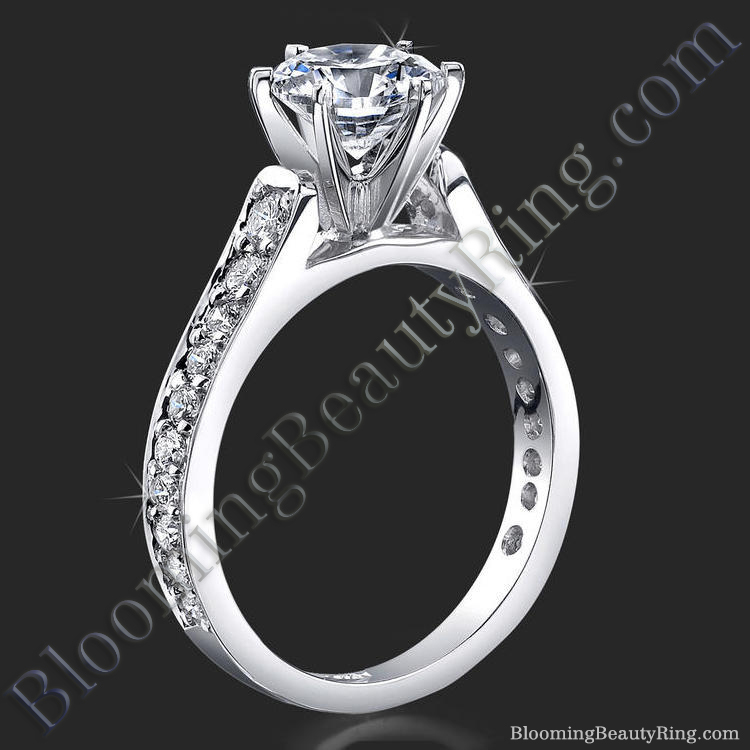 You need to use top quality moissanite. Lower quality will look as cheap as a cubic zirconia. 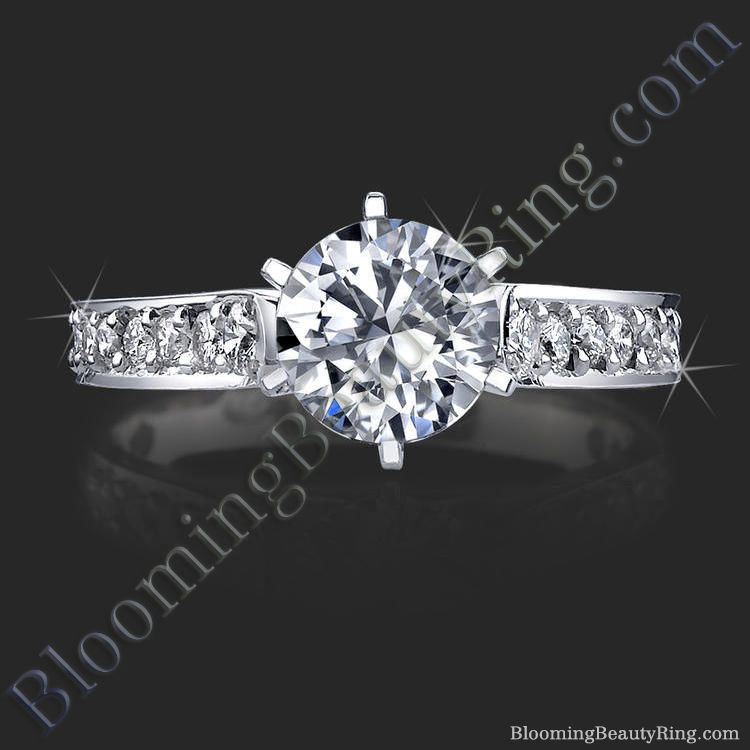 Top quality moissanite costs around $700 to $1000 / ct. The reflective properties are pretty close to a diamond, and they have a nice sparkle. Second only to Lustour Stone. Cubic Zirconia: Typical cubic zirconia would have a hard time passing as a diamond, but there's such a thing called AAA Cubic Zirconia, and they look leaps and bounds better than any lower grade CZ. 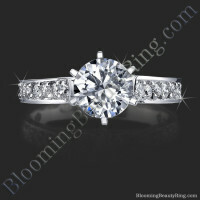 Typically costing around $50 to $150 for a 1 carat stone. If the funds are little tight, don't wait to propose! There's no need to. 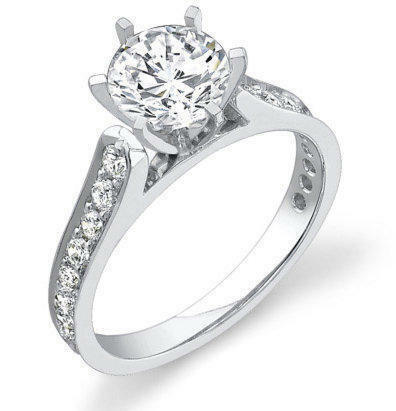 Using one of the options above, you can literally save thousands, and your diamond engagement ring will look amazing. Especially if you go with the Lustour Stone or Moissanite. Go with what you can afford, right now at this moment, and if you decide to purchase a diamond later, after you've had time to save for the perfect one, come back and we'll help you get the best deal possible. Call and talk to us about the options above. We'll be happy to answer any questions you may have, and if you decide a diamond alternative is for you, we'll even do the searching for you to find the best deal we can. 20 round diamonds equalling .55 cts. 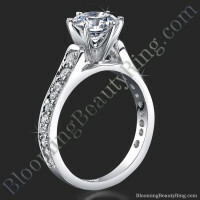 channel set in 2 columns of 10 diamonds along the side of band bringing you up to the 6 prong claw head. Will work with these shape(s) for the center diamond: All Shapes Condition: This ring is made to order and will be absolutely brand new. 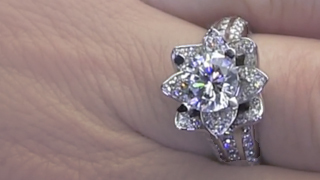 The side diamonds of this engagement ring are G - H in color. ALL the diamonds are virtually colorless. With a G/H color you get all the bright white of the D-F colors, but without the high price tag, and you avoid all the undesirable yellow tint of colors in the "I" and less colors. All your side diamonds are guaranteed to be bright white! Take a look below at the color scale to get a better idea. All things being equal in two or more separate diamonds, with the naked eye, it's extremely hard to tell the difference between small D-F colored diamonds and G-H colored diamonds. In other words, by staying within the G-H color range you'll still get that same amazing white sparkle that you'd get from a D-E-F color diamond, but at a much cheaper cost. Though most people will tell you that an I and J colored diamond falls in the colorless category, it's simply not so. 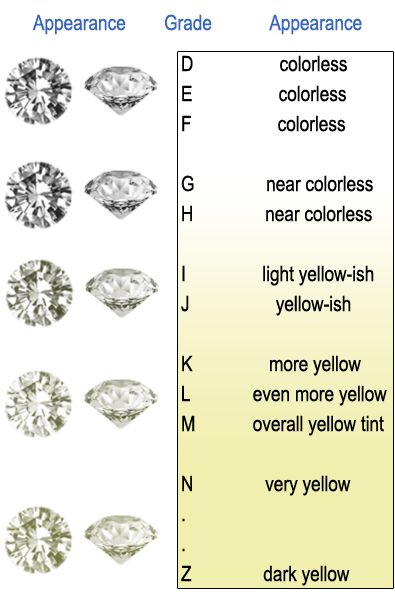 There will always be a visual yellow tint in an I and J colored diamond, or below, and the difference will always be a more yellowish sparkle. The Side diamonds of this engagement ring are VS2 - SI1 in clarity. ALL the diamonds are absolutely eye clean. You will not see any inclusions such as black carbon spots, cracks or feathers with your naked eye. You would need a microscope to see any flaws. With a VS2/SI1 clarity you get all the visible perfection of the higher grades, without the huge price tag, and you avoid all the unsightly inclusions that you will see if you purchase a SI2 or lower clarity. Your side diamonds will be absolutely gorgeous to look at. 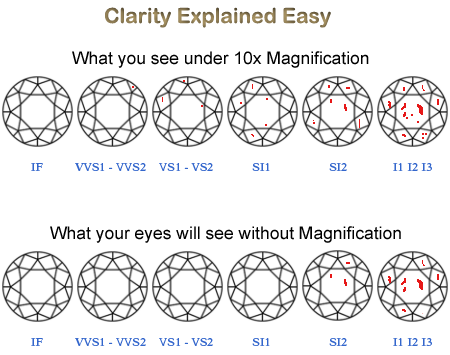 To get a better understanding of diamond clarity, please, take a look below. All the side diamonds will have a cut grade of excellent to very good. When your diamonds have a cut grade of excellent to very good you can be sure that you will receive the most sparkle from the diamond(s). This is because every facet (the mirror like sides of any diamond) are cut in such a fashion that they will reflect all light that hits your diamond up to the top where you visually see the sparkle and glimmer. With lower cuts you will get light leakage. Meaning the light that hits your diamond will not be redirected up to the top, but most of the light will be reflected out the sides making your diamond appear dull. All of your side diamonds will be absolutely full of life and brilliance.